On 7th July 2001 the Manningham area of Bradford experienced what has been described as the worst rioting in mainland Britain for 20 years. The riots erupted after weeks of tension fomented by the activities and threats of the National Front and the BNP – an organisation that continues to win a large number of votes in council elections in the area. 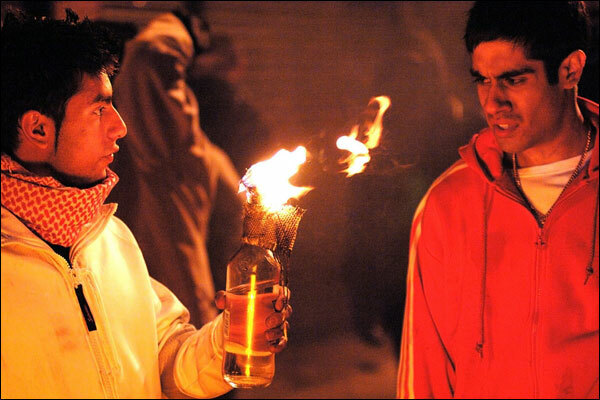 Written by Neil Biswas, in his second drama commission for Channel 4 (following Second Generation), Bradford Riots tells of that night of vicious rioting from the perspective of a group of young Asian men whose lives, families and community have been defined and decimated by these events. The script is based on months of first-hand research within Bradford’s Pakistani community. Biswas looks at this Muslim community from the inside to see how it lived and breathed before mass violence blew up on its streets and explores the painful aftermath. Bradford Riots takes individual accounts and seeks to explore why this violence happened, who was to blame and how the sentencing of a generation of young Asian men took place even though the majority handed themselves in to the police, pleaded guilty and had no relevant previous convictions.